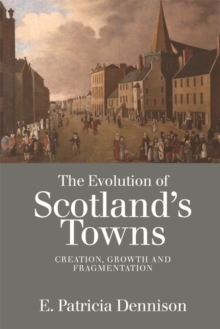 This pioneering book tells the story of urban development in Scotland over the course of a millennium, drawing on original research into more than thirty towns, from the smallest settlements to major cities. The changes in urban society came at different times and at different paces for most towns and many had to withstand crisis after crisis. The overall evolution of urban life, in its different guises, is explored throughout the book. Beautifully illustrated and blending archaeological, cartographic and geographic resources, the study also examines the lives of people who lived in Scotland's towns and cities to give the reader a vivid impression of the times and a clear understanding of how these urban developments came to be. The book also considers urban heritage and asks what we have lost and may continue to lose through neglect and fragmentation.